Another collaboration with the great folks at Intimate Manila.com, this time with the lovely Nika Madrid in front of the lens. I took on the basic three-point formation and turned it around its head. This formation basically has a key, fill and backlight (highlight). Now, what if we rotate the positions of the lights, essentially altering their roles? This is my modified setup, rotating their positions and functions. I would still have one key light, but I drop the fill and gain two (2) backlights in the process. This gives me that rim lighting on both sides of the model. The key light is then positioned by personal preference depending on how much shadow you want on the model. To get some light back, I positioned a reflector on the opposite flank of the key light. 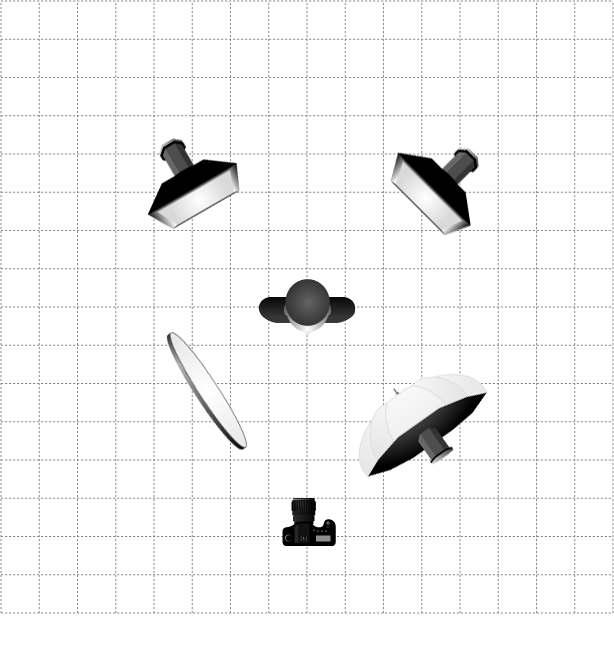 If you notice on some images, the key light and reflector are switched around, but the effect is technically the same. I also wanted a softer highlight, so I changed the typical reflectors on those backlights and replaced them with strip soft boxes so I could control the fallout of the light. This also made the highlights softer and smoother in transition. My main light was my trusty Photek Softlighter II (a diffused double bounce umbrella / brolly box) flanked either left or right of Nika depending on which part of the room we were shooting in. As for my camera settings, I wanted to capture the ambient lighting of the room so I bumped up to 400 ISO and shot with a 2.8 opening. This meant having to power down the lights to their bare settings. Even that resulted in partial over exposures with some of the takes. But such a big opening made it possible to capture the light bulbs that would normally be dark if I just go about my regular settings of F8.0 or 11. Given the hotel rooms were also large, it was quite fun playing with depth. The stuff toy tigers were a cute addition to the set. I didn’t realize the curtain was that thin. My mini stripbox was seen through the red much to my frustration.